3,331 years ago our ancestors took the trip of a lifetime. 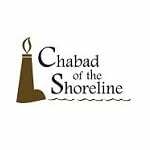 Take the trip this year with Chabad at our communal Passover seders. Space is limited, please don't wait for the last minute to let us know you are coming! Suggested donation per holiday meal $18. No one turned away for lack of funds. Please consider being a Passover sponsor for $180 or a partner for $360.